International Women’s Day, commemorated annually on 08 March, is significant to LexisNexis’ mandate of promoting the Rule of Law thanks to its focus on tackling issues such as poverty, exclusion, unemployment, gender equity and access to social well-being and justice. In honour of this day, LexisNexis South Africa has reinstated a partnership with the Women’s Legal Centre, (WLC), a non-profit law centre that seeks to achieve equality for women – particularly black women. LexisNexis SA originally sponsored the WLC with access to MyLexisNexis online solutions from 2009 to 2011. This sponsorship was reinstated earlier this year – but with an upgraded package consisting of six user licences, valued at R210 000. Senior Litigation Secretary at the WLC, Ingrid Johnson, said their internal legal personnel made extensive use of the packages, which the WLC would not be able to afford without sponsored access. “As we are an impact litigation centre, our work often entails extensive research on case law, which is a fundamental part of the cases taken on by the centre. By having access to LexisNexis’ reliable legal resources, we are able to obtain case law and research for use in our submissions to court which in turn has led the court to grant favourable judgments,” she said. “Positive judgments further impact on improving legislation in our country for women and girl children who are often severely affected by inequality. Notable work by WLC includes a contribution to a clause on forced sterilisation to the National Contraception Policy and Clinical Guidelines, which held that coercive sterilisation is against the law. Furthermore, the organisation represented Her Rights Initiative (HRI) in 2012 at the Commission for Gender Equality in relation to its research report detailing the practice of coerced sterilisation of HIV positive women. WLC is a member of the Expert Group of the SA National AIDS Council Women’s Sector Focus Group and a provider of legal support to the Amanitare Sexual Rights Network for Women’s Health. 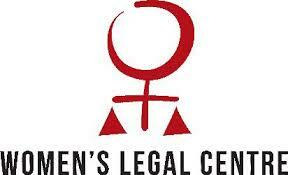 The organisation also provides legal support to Marie Stopes South Africa’s work in women’s health. Billy Last, CEO of LexisNexis South Africa, said the company was passionate about providing products and services that enabled its partners to operate more effectively, efficiently and transparently. “Anything we undertake as a company is founded on our underlying global purpose and responsibility of advancing the Rule of Law across the world. This partnership is a true example of the value we see in partnering with legal and law enforcement role players, anti-human trafficking organisations and community upliftment projects to make a positive impact on society and pursue sustainable social, political and economic progress that is founded on the Rule of Law,” he said. “We also feel it is equally as important for us to support and involve our employees, so that they can help improve the lives of their surrounding communities,” he said. LexisNexis has varying partnerships in place with NGOs including ProBono.Org, Umgeni Community Empowerment Centre, the Salvation Army, the National Freedom Network and others. In 2015, the company hosted its inaugural LexisNexis Rule of Law Champion Award aimed at celebrating and acknowledging those within the South African legal fraternity who have led efforts to advance the rule of law and strengthen civil society. The award was bestowed upon Judge Dennis Davis as the Dept. of Justice Champion and Nic Swart, Chief Executive Officer of the Law Society of South Africa, as the Industry Champion. LexisNexis Legal & Professional is a leading global provider of content and technology solutions that enable professionals in legal, corporate, tax, government, academic and non-profit organizations to make informed decisions and achieve better business outcomes. LexisNexis Legal & Professional, which serves customers in more than 175 countries with 10,000 employees worldwide, is part of RELX Group plc, a world-leading provider of information solutions for professional customers across industries. In November 2015 LexisNexis acquired a 100% stake in Korbitec, a provider of content-enabled workflow solutions for South African property professionals. Korbitec’s offering includes two industry leaders, GhostConvey and Windeed.